California natives Jack Beckman, Ron Capps and Leah Pritchett watched in horror as their state suffered tremendous devastation due to the Camp and Woolsey Fires that consumed large portions of Northern and Southern California last month. Not ones to sit idly by, the three Don Schumacher Racing (DSR) drivers with California roots felt compelled to take action and provide support for their home state. Beckman, Capps and Pritchett have assembled items to be auctioned off via DSR’s eBay page, with all proceeds benefiting Direct Relief, a humanitarian aid organization whose mission is to improve the lives and health of people affected by poverty, or emergencies such as the California wildfires. The auction will go live at 6:00 p.m. EST tonight, December 11, and will close at 6:00 p.m. EST on December 18, ensuring the winning bidders will receive their items in time for the Christmas holiday. Up for auction are autographed crew shirts from all 11 of Pritchett’s 2018 NHRA Mello Yello Drag Racing Series entries. 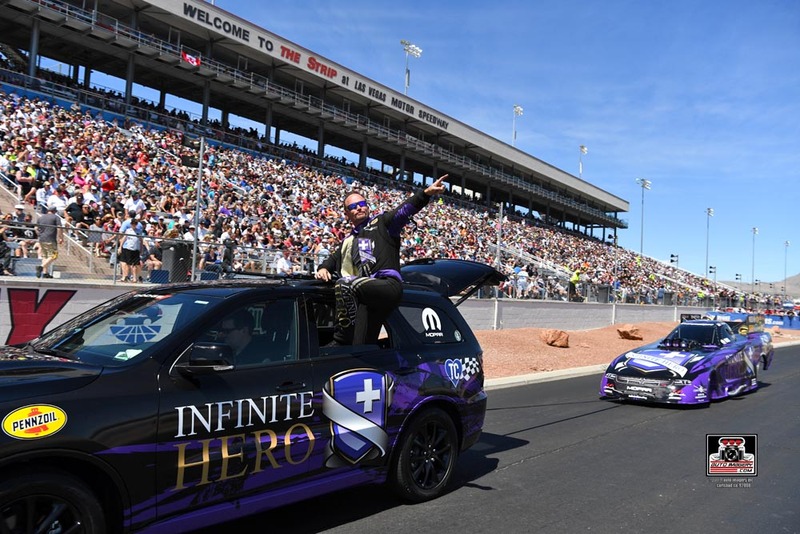 Beckman has crafted a 2019 Jack Beckman VIP race experience package, while Capps hopes to raise funds for the affected communities by donating NAPA Racing crew shirts from his four 2018 liveries. “As someone who has seen wildfires first-hand, I can’t even imagine what our fellow Californians are going through after the destruction of the latest fires. Seeing and hearing about the devastation and the loss that many of those residents have gone through, with some of them losing everything they worked for their whole lives, it makes your heart hurt. I am grateful to be able to have the chance for us to help in any way we can. Please put it in your heart to bid on these great items we’re putting up to help these communities recover from the wildfires. “When we first decided to help those devastated by the fires, we initially were going to donate clothes. We all have so many branded items in new or like-new condition that we thought would be of use to those who have lost everything. I asked my Instagram followers for help in recommending which charity we should donate to, and the response was overwhelming and informative – so many of those commenting let us know that there are so many clothing donations already and it would seem that those suffering would be best served by monetary assistance, which led us to do an auction instead.